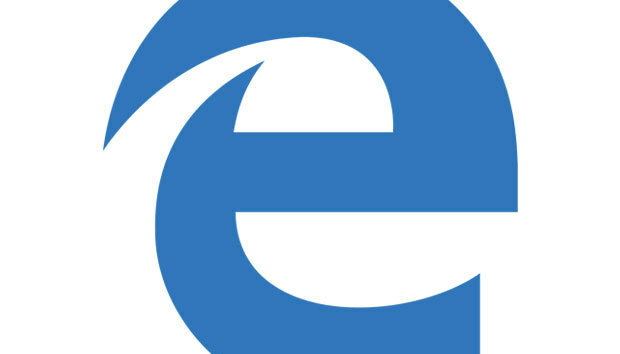 Microsoft yesterday claimed that its newest browser, Edge, had increased its usage faster than did Google's Chrome after its 2008 launch. "[Edge is] ahead right now of even the start of Google Chrome, a very successful browser, has gotten off to," said Charles Morris, a program manager on the Edge team, during a Wednesday session at Build, Microsoft's annual developer conference. Morris used that to illustrate Microsoft's belief that Edge has been doing fine in attracting users, a counter to some of the commentary about the browser's uptake. Computerworld, for example, has characterized Edge adoption as surprisingly weak, considering that it is the default browser in Windows 10 and Microsoft's aggressive efforts to make sure customers ran it, including dropping support of many older versions of Internet Explorer (IE) and changing users' browser preference when they upgrade from Windows 7 or 8.1. But Morris was correct when he said Edge has been adopted at a faster pace than Google's Chrome after the latter's September 2008 debut. According to U.S.-based analytics company Net Applications, Chrome had climbed to a user share of 1.8% of all personal computers by the end of its seventh month. Meanwhile, Net Applications pegged Edge's seven-month user share at 3.9%. Edge's usage share for February 2016, its seventh month, was 2%. Morris selected Chrome as the comparison because it was the most recently released major browser prior to Edge's launch on July 29, 2015. What Morris did not reveal was what proportion of Windows 10 users run Edge, an important assessment of the browser's success, both because Edge is available only on 10 and it is the default in the new OS. According to Computerworld's latest analysis, Edge is the preferred browser of between 13% (from StatCounter) and 31% (Net Applications) of all Windows 10 users. Those numbers are significantly below IE's penetration among Windows users overall. By Net Applications' data, IE is the browser of choice of approximately 41% of those who ran Windows in February.